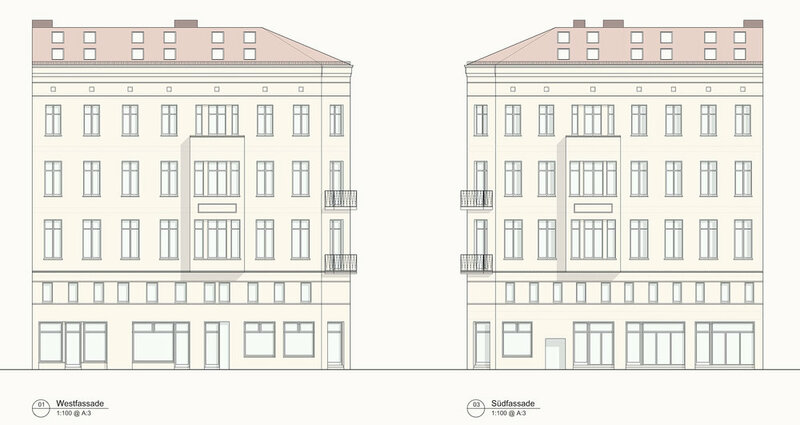 We have developed the concept design and planning application for the renovation of an existing listed building in the Spandauer Vorstadt, the only part of the old Berlin city area preserved in its historical grown structure. The building has been abandoned for many years and the project comprised the renovation of the existing commercial and residential floors, as well as the conversion of one residential level for offices and the construction of a new residential floor at roof level. The project required a thorough cooperation with the city planning and conservation officers, with particular attention in maintaining the original structure and detailing of the building.